Book your Flight, Accommodation & Travel Deals HERE! Welcome to my Food and Travel Adventures! There was one afternoon as we wandered along Kimberley Street, trying to look for food at the oddest hour (3.30pm). It was particularly quiet that afternoon and not many shops were open. As we were at the brink of turning back to the car, we saw this big, green banner hanging outside a shop that reads in Chinese "Giant Curry Mee with extra ingredients". Well, any food that is "huge" works well for us (LOL) so off we went into the shop. Curry noodles or curry mee or some countries call it curry laksa has always been one of Penang local delicacies, which is made of egg noodles and vermicelli in a coconut milk based curry soup. And we wondered how does an 'upgrade' version of a classic curry mee feel like. The classic curry mee costs RM5 while the 'premium' version with extra ingredients costs RM11.50. 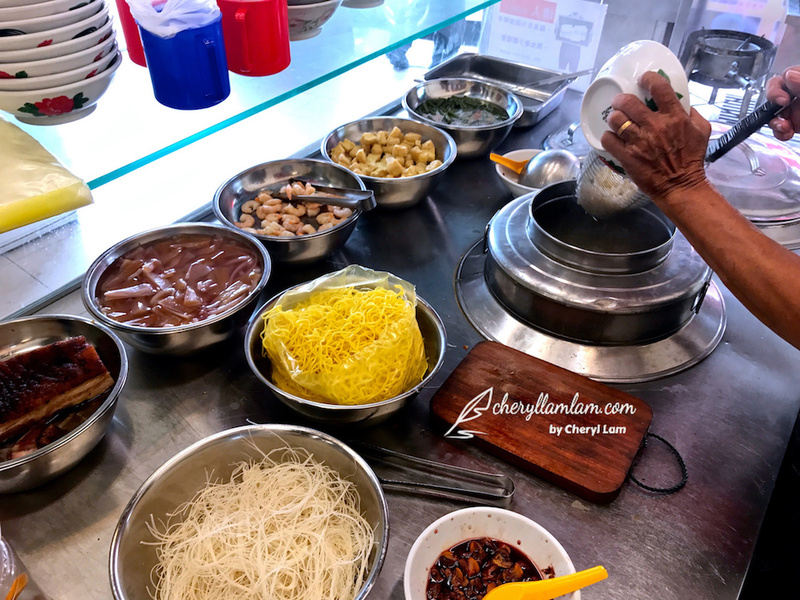 The noodles were served with a variety of ingredients such as curry chicken, potato, roasted meat, prawn, deep fried bean curd skin, dried bean curd, clams and long beans. Initially we thought it would be a bloody big bowl to handle but after looking at it, we were pretty confident that we could manage the portion - it ain't as gigantic as we expected it to be. The taste was decent with a hint of sourness and some touch of creaminess. I reckoned it tasted pretty good, but could be better. I guess this gimmick dish would suit anyone who loves to have a lot of ingredients in their bowl of curry mee, and for those who is willing to pay RM11.50 for a bowl of 'keh liao' curry mee. Other than curry mee, this shop also sells other stir-fried dishes like Char Koay Teow or Sar Hor Fun etc. The 'Giant Curry Mee' shop is located just opposite of the famous Sheng Ling Xuan Herbal Tea shop in Penang. If you like what you just read, SHARE THIS with your friends and family! to receive more exciting travel news and delicious food diaries! I appreciate your support very much. I send my friends the latest food or travel story from my blog in the morning. If you'd like to wake up to a delicious email, just enter your name and email address below. Thank you and enjoy the feeds! Compare your Best Hotel Rates! 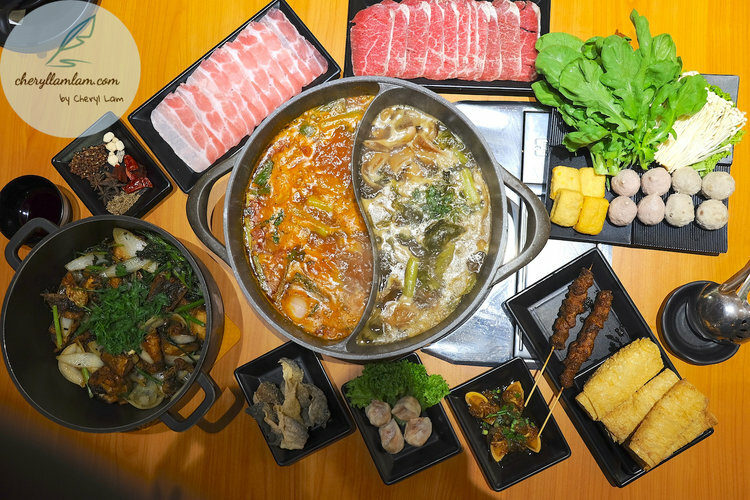 My FAVOURITE hot pot - "As You Like HK Chicken Pot" @ Chow Thye Road, Penang. Grub by Ahong & friends @ PJ, Malaysia - Is it worth the hype? Loo Kee Chicken Rice Shop @ Sungai Pinang, Penang. Get free updates on my food & travel journey!